What Happened at Singapore’s General Election 2015? In this article, I will write about my thoughts about the General Election 2015, as an observer, a person, and not as a politician. Some of my observations are gathered from a read of other postings. The election results are surprising. This is a conclusion that both sides, the PAP as well as the opposition, have acknowledged. Some people have pointed out that many PAP politicians have said that they were “humbled”. Indeed, the results of the election is a humbling experience, not just for the PAP but for the opposition as well. What happened, is a common question that is being asked. Many of us among the opposition were saying how the results do not make sense. It is clear that socioeconomically, many Singaporeans feel constrained by the high cost of living, and coupled with the depressed wages have caused many Singaporeans to feel stressed up and unhappy. The general sentiment has been that the votes will swing away from the PAP to the opposition. In fact, I had believed that the votes would go down to a 50-50 split between the PAP and the opposition. This did not happen. Several factors play a part, key among them how the PAP’s conservative rhetoric played out to great effect and also, how the opposition had framed the issues. Of course, the typically-assumed factors which caused the swing would be on how the sympathy votes from Lee Kuan Yew’s death has aided the PAP, the SG50 feel-good celebrations as well as targeted policy tweaks such as the Pioneer Generation Package and slight enhancements to the CPF system for the elderly, and the unique upgrading elements such as building a swimming pool would have assisted the PAP. The promise of the construction of polyclinics also allowed certain segments of Singaporeans to perceive greater accessibility to healthcare and therefore gave the PAP more votes as well. The question though for the opposition is, why in spite of policies that were well-intended to benefit Singaporeans, did not receive the support of Singaporeans? Almost all the opposition parties have proposed minimum wage to increase the wages of low- and middle-income Singaporeans, and to increase health and education subsidies and also strong job protection as well as unemployment benefits to protect Singaporeans who have lost their jobs. But why did voters not bite? This is where the PAP’s usual rhetoric played a crucial role. Where the opposition had tried to illustrate how these benefits could be conferred onto Singaporeans without the need to increase revenue or taxes from Singaporeans, this did not sink in with Singaporeans. Instead, many were swayed by the PAP’s belief that there would be a need to increase taxes. Many reasons explain why such a belief was pervasive. First, the PAP’s propaganda of higher spending equating to higher tax has taken root among many Singaporeans. Second, the complicated tax system makes it difficult for Singaporeans to understand, even as much as some economists perceive the CPF as a tax and Singaporeans pay as much as 8 times more indirect tax and CPF than personal income tax. The point here? Singaporeans already pay more than enough tax, and the money that we pay into the CPF and the taxes combined would be more than enough to finance any much-needed increase in expenditure to protect Singaporeans. Third, and most crucial, the socioeconomic lives of Singaporeans, as much as this was what the opposition wanted to campaign to protect, is also key to the voters’ decision-making. For a populace where the poverty rate has been estimated to have increased to as high as 30%, and where the lives of Singaporeans are squeezed, many are too frightful to choose an alternative scenario. Many are unwilling to accept increased expenditure, for fear of making their lives even harder. 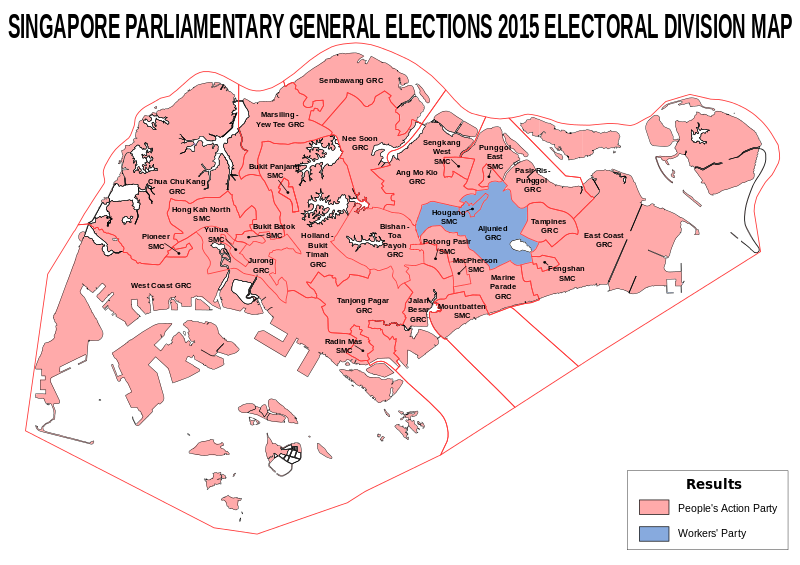 Ironically, the very policies that the opposition wants to implement to protect Singaporeans are the very ones the voters rejected, due to a combination of a lack of understanding of what these policies entail and how these policies were not articulated in a manner which aligned with the vast majority of the voters. Most importantly, voters did not understand how the policies would benefit them but were more clearly fearful of how costs would increase for them and affect them even more adversely. The PAP’s monopoly on government and the opposition’s inability to be in government also caused Singaporeans to doubt that the opposition has thought through their policies clearly. This is in spite of how among the opposition are former civil servants and academics as well as economists who would have among them the expertise to do so. What perhaps then is key is how the opposition has portrayed themselves and who they were trying to reach out to. For many opposition parties, they might have appeared too intellectual. This could be where the PAP’s Manifesto wins with its motherhood statements. Voters do not need to know what policies you have in store for them. They only need to know how you can make them believe you care for them, regardless. And this is a mistake that many among the opposition could have made. We tried our darnest to explain the policies, not realising that this only reached out to 20% of the population who firmly voted for the opposition yesterday. But for the large majority, the policies were lost on them. Instead, they feared having to pay more. Indeed, fear became a key theme on how Singaporeans voted. Just the day before the election, the PAP sprung the surprise of talking about terrorism and instability in Malaysia in their political broadcast, which would have a key effect in grounding many voters towards voting for the PAP. The improved strength of the opposition, for the first time in Singapore after many decades also caused an irrational fear among voters of the possibility of losing this instability. As much as strength can be counted on as a measure of aptitude, such strength became a crippling factor for a population used to being fearmongered at. It is not by chance that The Worker’s Party has therefore played so safe over the last few elections, because it had read the psyche of voters very carefully. With a well-defined strategy of positioning a liberal-leftist Manifesto to a smaller widely-read population and playing a more stable politics on the larger landscape, this was how The Worker’s Party has managed to sustain its influence in a carefully well-balanced strategy. It could perhaps be seen by the voters that the eagerness that the other opposition parties had presented were too strong for their comfort, and therefore the voters back off. If you ask me, it’s a pity. Our fear caused us to let go of what would have been potentially beneficial for us. This is where you have to congratulate the PAP on a well-oiled fear-based strategy and one that has caused Singaporeans to be so fearful of making ends meet that they would rather choose more of the same, than be willing to take risks. Finally, certain figures among the opposition such as myself could have taken some Singaporeans by surprise and might have even caused discomfort. Figures like myself might come across controversial and place voters in a condurum. Eventually, I managed to convince some voters of my sincerity after my political broadcast was shown on cooling-off day, which resulted in me being the 5th most searched personality. But this came too little, too late, many voters whom by then had made up their minds who to vote for. The presence of several controversial personalities could thus have added to the uncertainty among voters who were taken aback by the sudden strength of the opposition, and therefore caused some to repel away. If anything, The Worker’s Party was the only party which read the ground right and managed to retain most of their existing seats. Emulating themselves as a stable party won them the middle ground supporters. As much as a select pool of Singaporeans, the majority online, are ready for a more intellectual discourse on sociopolitics, the vast majority are not, or do not have the time to be engaged on these issues. As such, the opposition was lost on them. The presence of many supporters at the rally nonetheless show the entrenchment of such supporters towards the opposition, but they did not unfortunately reflect the broader segment of Singaporeans. If this is any indication, it means that the opposition parties would need to fundamentally relook their campaigning objectives and who they should try to reach out to. How do they continue to rile up the shrinking liberal intellectual class, while broadening their scope to take into account the majority which wants to be assured of stability? How do they try to skillfully master this balance to be able to convince voters? This requires much party discipline and focus, which The Worker’s Party has displayed, and which the Singapore Democratic Party had tried to emulate and have effectively done so to some extent, which got them to become the second-best performing opposition party, after The Worker’s Party but this was still not enough. This is not to say that the PAP did an excellent job at marketing itself. If anything, the swing in votes towards the PAP did not result so much because of how the PAP has framed its campaigning, but more in terms of how fear has turned Singaporeans away from the opposition instead. The key success in how PAP’s campaign worked therefore is how it was able to imbue fear into Singaporeans. But is this a sustainable long-term approach? I do not think so. But what are the larger sociopolitical effects that could happen. With the PAP gaining a firmer foothold, would this result in them continuing with the further clamp down of their critics and alternative online news site? Will Singaporeans see a further marginalisation of their rights? For a PAP which would be put paid to believe that Singaporeans would tolerate their current antics might mean that the PAP would believe that they could continue with their current mode of working. I would personally hope that the PAP would use this renewed mandate to fundamentally shift its governing approach to one which becomes kinder and less punitive. But I do not know if a PAP used to a track record of doing otherwise for the past 50 years would be ready for this, especially with how it had conducted itself this election. The only hope could lie in a change of prime minister, to put in place one who is more moderate and who would take a more centrist approach. 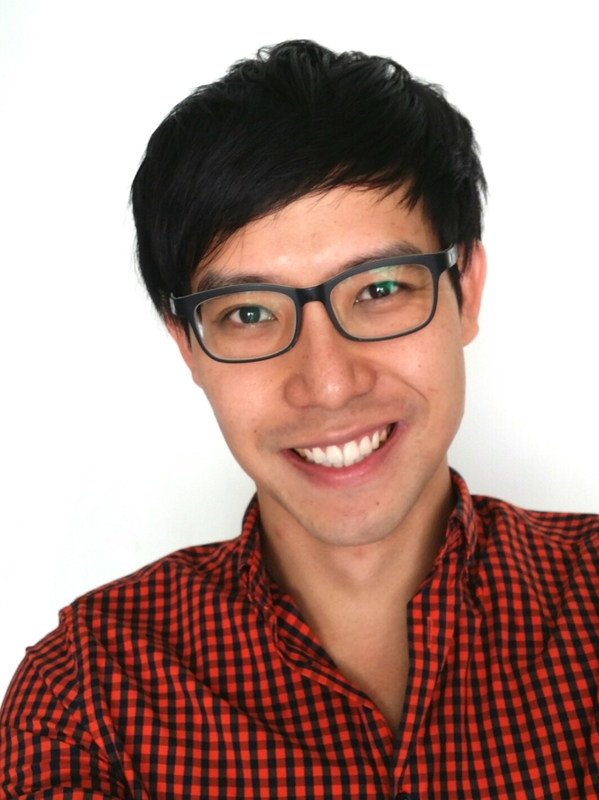 In the end, this election would have shown that Singaporeans are not ready for a more progressive sociopolitical landscape, and some politicians might need to evaluate if their current method of working is still relevant to Singaporeans and if they would change gears or withdraw from the scene. My worry is that if there are no fundamental changes in policies over the next few years, we will see a much more divisive landscape develop as well as a more disempowered and weakened citizenry. 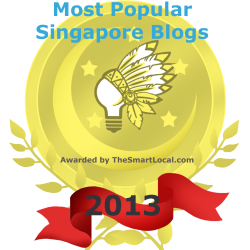 I ran for election because I hope that we could go into parliament to better the lives of Singaporeans. At the end of the day, it does not matter who goes into parliament. But what matters is that the people in parliament would put their ear to the ground and would make policies that put Singaporeans at the heart of the matter. This election is, in a way, a wake-up call to the opposition to better strategise themselves and ironically, where we have said that the PAP has lost touch with the ground, some among the opposition have also fallen folly to this mistake, and have not aligned ourselves to the wider majority. Whether or not the opposition has another chance at the next election would depend on whether they have learnt from the ground-shaking election this time round. But for Singaporeans as well, it would depend on whether we would have the courage to confront ourselves and not be swayed yet again by fear. I believe many Singaporeans would be kicking ourselves over the results but it is too late to cry over spilled milk. What would be more important would be to look at how we can involve ourselves, so that at the next election, we would be able to bring about a government that would be more in line with our vision for our country. Many new citizens from bigger countries who do not have CPF, are not affected at all, they don’t feel the pain. I personally came across 2 real cases that these type of citizens have cheated new, heavily subsidized HDB flats by falsely declaring no private properties overseas. I can say this 2 cases are just the tip of the ice berg of thousands of such cases. These people for sure vote for PAP. I have many unfortunate middle or lower middle class real S’porean friends who were inevitably stuck in Singapore shoe-box private property that are not fit for a human family (long story due to ever changing policies), tried hard but no way to dispose the private properties (thanks to the harsh cooling measures) but not even allowed to buy non subsidized resale HDB for own stay (as can’t afford to buy a reasonable size private to stay). Met MP at the meet the people session, MP said it’s impossible for the government to check whether these people (new citizens) are lying if they are from other big countries. In other words, too bad, if you are real S’porean, you have no choice and no way to escape, you got to be a victim of the system. So, this would mean it’s understood that S’pore is so “world class” that outsiders know how to take advantage of S’pore in many ways, CPF, HDB, NS…..etc etc. Hi, how many of you know that PRs can escape NS by running away when their sons reach 18 by moving dropping SG PR moving out to places like Australia. (while the mother who is PRC converts still maintain SG citizen continue to enjoy HDB benefits, sure gain no lost why not?) Any way, it’s too late, those dare to fight for suffering S’poreans have became a minority after the disastrous 2015 Sept 11. Till more of those who suffer enough to realize, by then, there will be 7 mil population. There are no ways to check if these new citizens are lying about their private properties in other country. This is where you should do your part and report that 2 real cases. What you trying to prove here? You knowingly allowed people with overseas properties to buy HDB here? Full of complaints and no action taken. Do you know there are a lot of sellers out there but can’t sell, even when the market is good, because their units are not considered “good units or good investment” unless they sell at great losses? And they can’t sell at below market value because the proceed will not be able to buy them a decent replacement( the sellers will ask for market or above) or help them financially. Now in a down market, not only it is worst but economic and social consequences will be far more damaging. Ya if the home price drop . Many got to find money to top up to the bank . So glad chee and his party didn’t win at all..so glad Roy didn’t win. So glad LLL lost and quit. Hahhahahahahaa ! Now that PAP has a strong mandate, it is time to put Hui Hui, Roy, Gilbert, Ravi to jail and bankrupt them. No more protests at hong lim park. They are a nuisance to society. Wp is right . Take more sit first. Cause they are still not ready to take over. because the devil will always win! Dude Roy, please la. Stop this non-sense! You lost means you lost! Accept it. Move on. Go do some day job! Roy go get a job lah…don’t follow chee’s footsteps…don’t waste time writing these things that people don’t read.. or go get a gf lah.. If you do not know the way to kill a snake, it will find its ways to infect you with venomous bites. Although I did not vote for the opposition, I was glad the democratic system was visibly felt in the GE of last week. All available parliamentary seats were contested; GE process was peacefully conducted; no post election accusation of fraud. My vote stayed with PAP because I am still not convinced the Opposition team or teams could form an effective government. I agree the PAP team has areas to improve upon such as building more infrastructure to cater to a larger population; introducing more financial assistance scheme for those who are in need; implement better and affordable health care policies, etc. Other examples, which are not unlikely events, are the territorial disputes berween China & Japan as well as between China & Philippines turning into physical confrontations. Without doubt, USA will be on the sides of Japan & Philippines. If another George Bush character is the US President, Singapore may be presented with a difficult decision to make which is either with USA against China or against USA even if Singapore is not with China. Past events demonstrated Singapore’s leaders not bowing to unreasonable pressure from USA. I believe LHL & his key assistants can also handle without jeopardizing the security of Singapore and without having to make unfair conpromise with USA. Roy, for me Opposition did not have my vote not because of fear factor. Other than WP teams at Hougang and Aljunied, I do not have faith in anyone else among Opposition. Singaporeans have by and large matured in the political arena. Voters in Hougang and Aljunied gracefully continued to support WP because they wish to give WP continuity to grow and develop into effective and credible opposition. This is another good sign of democracy at work. If you and your counterparts wish to participate effectively in next GE, be involve productively grassroots activities fron now. Contribute constructive views via all available and legitimate media and not just criticize. Then you will be a relevant and respected opposition member. Thank you for your balanced viewpoint john! Finally someone making some sense. I would think most people aren’t pro pap or pro opposition, they just want the best for Singapore. Sure PAP hasn’t been perfect, but it has done well in many areas and we should give credit where it is due. Also the candidates from the opposition parties overall do not give people assurance that they can stand in the global arena and present themselves eloquently and in a way that is respectable. Of course there are exceptions like Chee Soon Juan, but as a whole PAP has been doing well, and they tend to look outward, beyond Singapore, how our nation stands in the global stage. Most opposition parties are overly focused on internal affairs, and while this too is important, it cannot cause us to neglect out international relations. Lastly, many thought that support for PaP was going to be lower this round, with many online posts and articles espousing anti PAP and pro opposition sentiment…but it just goes to show that that online community is not representative of the population at large. Thank you Jovian. I believe Singaporeans in general have matured politically. Why is it every country in the world (except North korea which is impoverished) chooses democracy, i.e. one man one vote and majority wins ? It is simply because the majority will not be wrong in choosing the best choice of leaders. Once a while the majority will choose a wrong one, but most of the time it will not. And for Singapore government to be choosen by the majority for every single election, it tells you something. Unless you think the majority of Singaporeans are idiots, then Singapore would be worse off than North Korea, and wont be a first world country today. By using North Korea as example… then yes, the majority of Singapore SHEEPLE are idiots to be taken by the simple 101 election trick by the PAP of reverse psychology. Yes keep insulting the voters and you will help the PAP win another 10% of swing voters. Stop finding excuses Roy. The beginning of your article was appropriate, but your logic and reasoning, its so twisted and self-centered I gave up halfway through. You propose more spending without increasing taxes? Unfortunately, more spending WILL require an increase in taxes OR at least government debt (which I do hope you’re well-informed about). To be frank, stick your head out and face facts. It isn’t PAP’s propaganda that govt spending will require higher taxes, its a widely recognized fact (globally). You mentioned economists, I’m pretty skeptical. Why not highlight WHICH economists you’ve been talking to (or reading in your warped perception). CPF is a pension fund, not a tax. I would hate for you to come into parliament, because you obviously do NOT understand what a delicate balance the economy is. Every move, every policy is calculated, thought through and debated. Everything is intricately linked to another. Perhaps, go study and maybe one day you’ll finally understand. Regardless, you’re 34 and no longer that young. Time to grow up kid. Everyone’s grown up spoilt now, demanding more than they deserve and being all self-righteous about it. Everyone’s looking for something to blame for mistakes of their own. Everyone thinks they deserve better (when honestly they don’t). I And that, is the fault of PAP. We’re all too sheltered. Exactly. Roy, CPF are not taxes. If you are going to use CPF to fund your social spending programmes then how is e government going to return people’s CPF at the end of the day? Your basic argument is so flawed, a normal Singaporean understands so much more that’s why they voted for PAP. Just think about it and stop eyeing our CPF. Totally agree with you! I came here to see if he accepted his defeat. But he is still the idiot that he is! Agreed. I come here to see him sob in defeat…I am so happy he lost miserably..hahaha! SpeakforSingaporean , well said …clap clap clap…every sentence u said got power and to the point ..cheerios! The crucial reason for the PAP tsunami in the GE is mainly due to having too many Indian chiefs in the opposition.The opposition paper manifesto is impotent if the opposition candidates are only elected as MP.Hence whatever policies they may espoused in the rallies remains just rhetoric,which was unconvincing to the electorate. The electorate realized that the WP MPS in parliament during the last 4 yrs did nothing to prevent any bills from being passed, even though they have voiced against it as in the white paper that was debated in parliament. The problem is the opposition cannot walk the talk.So what is the point of saying the opposition will introduce a minimum wage etc when these propositions could not be implemented.,by opposition MPS. Their rhetoric about their manifestos etc remain as just rhetoric, since there is no possibility of them being implemented unless they form the government. Obviously just criticising about high cost of living,etc will not win votes. This is one vital reason that cause 70% of the electorate to vote for the PAP. As long as the opposition parties are not able to form an alternative government,with credible candidates,the electorate will continue to support the PAP. The 30% pro – opposition are mainly the keyboard warriors but the 70%are the silent majority. The massive attendences at the opposition rallies esp in WP and SDP were not reflective of the voting tendacies .